The municipalities of Brazil are administrative divisions of the Brazilian states. At present, Brazil has 5,570 municipalities, making the average municipality population 34,361. The average state in Brazil has 214 municipalities. Roraima is the least subdivided state, with 15 municipalities, while Minas Gerais is the most subdivided state, with 853. The population is 56,555 (2015 est.) in an area of 490.15 km². Because it neighbors resort towns, its population fluctuates greatly with the seasons. The more northern parts are dense forests and are virtually unpopulated. The municipality was created in 1995. Prior to that it was a part of Santos. Santos is a municipality in the Brazilian state of São Paulo, founded in 1546 by the Portuguese nobleman Brás Cubas. It is partially located on the island of São Vicente, which harbors both the city of Santos and the city of São Vicente, and partially on the mainland. It is the main city in the metropolitan region of Baixada Santista. The population is 433,966 in an area of 280.67 km2 (108.37 sq mi). The city is also home to the Coffee Museum, where world coffee prices were once negotiated. There is also an association football memorial, dedicated to the city's greatest players, which includes Pelé, who played for the Santos Futebol Clube. Its beachfront garden, 5,335 m (5,834 yd) in length, figures in the Guinness Book of Records as the largest beachfront garden in the world. The municipality contains the 9,312 hectares (23,010 acres) Restinga de Bertioga State Park, created in 2010 to protect an area of mangroves, restinga and dense rainforest. Its limits are Mogi das Cruzes, Biritiba-Mirim and Salesópolis in the north, São Sebastião in the east, Atlantic Ocean to the south with Ilha de Santo Amaro (opposite to the city) and Santos in the west. The Restinga de Bertioga State Park is a state park in the state of São Paulo, Brazil. It protects an area of restinga, mangroves and dense rainforest on the coast of São Paulo. The park provides an important ecological corridor from the coastal restinga to the Serra do Mar State Park further inland. A mangrove is a shrub or small tree that grows in coastal saline or brackish water. The term is also used for tropical coastal vegetation consisting of such species. Mangroves occur worldwide in the tropics and subtropics, mainly between latitudes 25° N and 25° S. The total mangrove forest area of the world in 2000 was 137,800 square kilometres (53,200 sq mi), spanning 118 countries and territories. 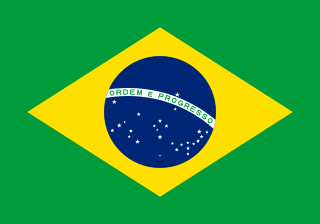 Mogi das Cruzes is a municipality in the state of São Paulo, Brazil, located within the metropolitan region of the state capital of the city of São Paulo. The population is 424,633 in an area of 713 km². It is located 40 km to the east of the city of São Paulo. It was founded in 1560 by the bandeirantes. Josef Mengele was a German Schutzstaffel (SS) officer and physician in Auschwitz concentration camp during World War II. He performed deadly human experiments on prisoners and was a member of the team of doctors who selected victims to be killed in the gas chambers. Arrivals that were judged able to work were admitted into the camp, while those deemed unsuitable for labor were sent to the gas chambers to be killed. With Red Army troops sweeping through Poland, Mengele was transferred 280 kilometers (170 mi) from Auschwitz to the Gross-Rosen concentration camp on 17 January 1945, just ten days before the arrival of the Soviet forces at Auschwitz. After the war, he fled to South America where he evaded capture for the rest of his life. Guarujá is a municipality in the São Paulo state of Brazil. It is part of the Metropolitan Region of Baixada Santista. The population is 311,230 in an area of 143.58 km2 (55.44 sq mi). This place name comes from the Tupi language, and means "narrow path". The population is highly urbanized. São Vicente is a coastal municipality at southern São Paulo, Brazil. It is part of the Metropolitan Region of Baixada Santista. The population is 355,542 in an area of 147.89 square kilometres. Santo André is a Brazilian municipality located in the Metropolitan Region of São Paulo. It is part of a group of municipalities known as Greater ABC Region. The population is 710,210 in an area of 175.8 km². Itanhaém is a municipality in the state of São Paulo in Brazil. It is part of the Metropolitan Region of Baixada Santista. The population is 100,496 in an area of 601.85 km². The elevation is 4 m.
Mongaguá is a municipality in the state of São Paulo in Brazil. It is part of the Metropolitan Region of Baixada Santista. The population is 52,492 in an area of 141.87 km². The name comes from the Tupi language. Its seal carries the national motto of the United States of America, E pluribus unum. Paraibuna is a municipality (município) in the state of São Paulo in Brazil. It is part of the Metropolitan Region of Vale do Paraíba e Litoral Norte. The population is 18,125 in an area of 809.58 km². The elevation is 635 m. The SP-99 highway passes through the town. Peruíbe is a municipality in the state of São Paulo in Brazil. It is part of the Metropolitan Region of Baixada Santista. The population is 65,226 in an area of 324.55 square kilometres (125.31 sq mi). Peruíbe is located to the southwest of the city of São Paulo and west of Santos. Praia Grande (Portuguese pronunciation: [ˌpɾajjaˈɡɾɐ̃dʒi] is a municipality in the state of São Paulo in Brazil. It is part of the Metropolitan Region of Baixada Santista. The population is 319,146 in an area of 149.25 km². São Sebastião is a Brazilian municipality, located on the southeast coast of Brazil, in the state of São Paulo. The population in 2009 was 76,344, its density was 182.5/km² and the area is 403 km². The Tropic of Capricorn lies 25 km north. The municipality existed since 1636 and formed a part of the old hereditary captaincy of Santo Amaro. Baixada Santista is a metropolitan area located on the coast of São Paulo state in Brazil, with a population of 1.7 million. Its most populous city is Santos. Sérgio Bernardino, known as Serginho Chulapa or simply Serginho, is a Brazilian retired footballer who played as a striker, and is the assistant manager of Santos FC. Costa Verde is a coastline in Brazil, which runs from Itaguaí, Rio de Janeiro state, to Santos, São Paulo state. In São Paulo it is known as litoral norte. Brazil's Costa Verde is characterized by the Serra do Mar escarpment reaching Atlantic Ocean, creating a mountainous landscape very near the coast. It can be considered the greatest extension of Atlantic Forest biome reaching the ocean, between Baixada Fluminense and Baixada Santista. The Serra do Mar State Park is a state park in the state of São Paulo, Brazil. It covers 315,000 hectares of the Serra do Mar mountain range, and is one of the largest remaining areas of continuous Atlantic Forest. The State Park stretches from the border of Rio de Janeiro to Itariri in the southern part of São Paulo. The São Paulo Macrometropolis, also known as Expanded Metropolitan Complex is a Brazilian megalopolis that emerged through the existing process of conurbation between the São Paulo's metropolitan areas located around the Greater São Paulo, with more than 30 million inhabitants, or 74 percent of São Paulo State's population, is one of the most populous urban agglomerations in the world. Maria Lúcia Prandi was a Brazilian academic and politician. The Xixová-Japuí State Park is a State park in the state of São Paulo, Brazil. It protects an isolated area of well-preserved Atlantic Forest on the Atlantic coast near the city of São Paulo. ↑ Gibson, Kenneth (31 March 2012). Killer Doctors: The Ultimate Betrayal of Trust. Neil Wilson Publishing. p. 132. ISBN 978-1-906476-59-5.